Houston, Texas – November 25, 2018: Bank of America is accessing its losses after an ATM glitched and dispensed $100 bills instead of $20’s. 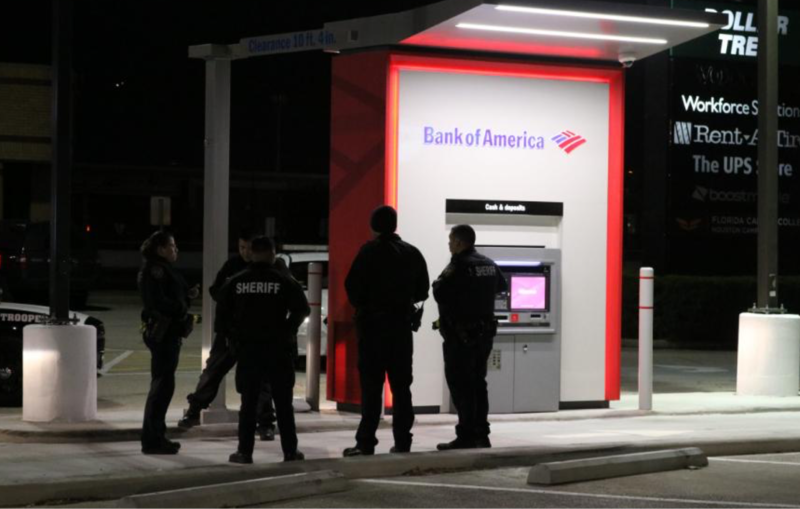 The cash machine located in the 100 block of W FM 1960 near Interstate 45, accumulated a long line Sunday evening when customers discovered it was giving out the wrong denomination of cash and announced “free money” on social media. According to a witness, she reported the ATM to Bank of America just last week for doing the same thing. Deputies with the Harris County Sheriff’s Office and Texas DPS responded to the scene after fights between customers broke out in the parking lot. It is unknown how much money was withdrawn or if the people who took the cash committed any kind of crime.